One of the greatest threats to an increase in income is simply the passing of time. Without proper awareness and discipline, slow and steady salary increases can go virtually unnoticed, and most definitely underutilized. Barry and Bonnie Bernstein are your typical middle-class couple. Both attended college and earned bachelor’s degrees in their respective fields of study. After college, Barry successfully landed a good job and has been slowly but surely working his way up the corporate ladder. Bonnie also landed a decent job straight out of school, and has taken on more and more responsibility, and thus has enjoyed a steadily increasing income. The Bernstein’s are not financial experts by any stretch of the imagination, but over the years they managed to buy a nice home and save enough to go on nice vacations, purchase decent automobiles, and enjoy a stable financial existence. 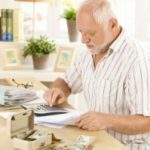 However, as time went by and their salaries steadily increased, those extra wages never seemed to make a noticeable impact on their savings. Their extra money that came from regular salary increases was always absorbed by the “this and that” of life – car repairs, shopping trips, nights on the town, etc. In fact, over the course of 10 years, the Bernstein’s combined salaries increased by nearly $40, 000 but they had little to show for it. No change goes more unnoticed than slow, steady change. The Bernstein’s story is all to familiar. Add the American culture of spend before you earn to a lack of deliberate financial discipline, and you have a delicious recipe for false prosperity. This philosophy is sweet in the mouth, but bitter in the belly. Human nature dictates that, unless we make diligence and discipline a part of our daily financial decisions, our excess will be piddled away almost without trying. In short, awareness and discipline are your best friends when it comes to proper money management. Below are some specific steps you can take that, if consistently utilized, will go a long way toward solving your problems. As always, the first step is admitting that we have a problem. As I stated above, unless you are deliberate with your money, you will most likely succumb to the pressures of culture and advertising. Carry this knowledge with you throughout each day, and consider it whenever you’re faced with a financial decision. Remember… We’re creatures of desire and, left unchecked, those desires typically get the best of us. My wife and I fell victim to lifestyle inflation for the first four years of our marriage. It wasn’t until six months ago that we recognized the problem and worked to implement a plan to curb it. It’s impossible to overstate the importance of setting personal financial goals. Consider trying to run a race with no idea how far away the finish line is. You can’t devise (or adjust) the proper approach without a full understanding of what your end result is. No matter your age, income, or debt level, make sure you consider where you would like to be down the financial road. Do you want to retire early? Set your goals accordingly. Do you want to gain financial independence so you can pursue your passions without worrying about money? Set your goals accordingly. The latter is my long-term financial goal. Instead of (or in addition to) setting a goal to save a certain amount of money over a specific time frame, you should set savings goals based on a percentage of your income. If you easily reach your target, increase it. The power of the percentage is that your savings automatically increase along with your income. The first savings percentage goal I had was to save 5% of my income. I have successfully reached that and have since reached farther. Now my wife and I are striving to reach a 10% savings mark. Once we reach that point, we’ll increase it further. We’ll repeat this cycle until we’re saving as much of our income as possible. There’s a good reason that you’ve heard these tips many times over… They work! An automated savings plan is an incredibly powerful way to help you reach your goals. Trust me, once you set up the automatic transactions, you’ll never regret it. You also won’t believe how fast your money accumulates. Combine this with the targeted percentage approach (above) and you’ll be well on your way. My wife and I use the “Automatic Savings Plan” feature offered by ING Direct to automate our savings plan. If you’re not already a customer of ING Direct, I highly recommend them. Lastly, don’t forget to practice frugality. Frugal living will help you to reduce expenses, and reducing expenses is arguably better than getting a raise. Once you either get a raise, or successfully eliminate an expense, make sure you follow through on your financial goals by adjusting your savings goals accordingly. I make sure I go over my income and expenses each time I review my budget. This ensures proper allocation of newly freed up monies and provides the follow through you need to successfully reach your goals! Don’t be like the Bernsteins! Practice these deliberate, goal-oriented financial tips to curb your lifestyle inflation and set yourself up for long-term success. A couple of years ago my pay took a +50% jump and the quality of my employer took a major jump too. I chose not to inflate my life and instead I used the difference in pay to get out of debt. When I finally broke even and was looking at a positive net worth, I slashed all sorts of expenses to become more efficient. I should have done that months, even a year earlier. Anyway, I live like I make 1/2 of what I make. At that level I luckily live above the poverty line and I’m able to save tens of thousands per year. Not everyone can save like that but almost every can save, it all comes down to sacrifice. but large debt can guarantee unhappiness. Sadly it’s hard for people to curb spendings, hence the many people who are in debt. Thanks for the great post. keep them rolling in. Set it and forget it savings plans come in two types. Over a multi-year period, there are differences. In a 401(K) or equivalent type plan, you save a set percentage of your eligible income. (Eligible may be salary only, all income, or something else depending on your employer’s plan rules.) As your income increases, these also automatically increase your savings $ at the fixed % rate. Should your income decrease, your savings $ go down at the fixed %. In the periodic automatic transaction plan you can set up with any competent bank, you set a fixed $ amount to automatically save. As your income increases your savings $ stay flat and your savings % goes down. Should your income decrease, your savings $ stay flat and your savings % goes up. Since, over time, most peoples income goes up, anyone using a fixed $ amount should probably also establish a periodic review of the fixed $ amount to increase it. @ Angela: you are going in a great direction! Try to keep up the great work. The little steps are what count when it comes to saving. 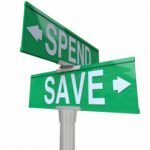 A lot of people hate thinking about being frugal and saving and so the way to avoid thinking about making big savings days and days to balance the budget is just by taking little steps. Every little here and there helps. Save money at dinner: skip the appetizer and dessert. Do you really eat it all? Or need it all? Or like Angela said, just eat out of the cupboard. Check prices online before going to shop. Be knowledgeable about what you are paying for! @David: I agree… our culture is one of spend to be happy… so people do. Happiness, as you pointed out, is rarely the outcome. They simply acquire more junk & more debt, both of which almost always turn out to be a burden. I’m glad you started saving! Everyone seems to put it off, put it off… then once they finally start, they ALWAYS wish they would have started sooner. @Kevin: I’m a big proponent of giving yourself a raise! That is why I love frugality! @Angela: Sounds like you are on the right path… keep it up! Don’t you just love the ING savings account system? I know I do. It is a huge help to the automation of my savings. Excellent advice. Money that is siphoned away from your paycheck for short-term and long-term savings i.e. the ING account and 401(k)s, is money you won’t spend until you really need it. It never ceases to amaze me that whatever amount of cash I have in my wallet on Monday magically disappears by Friday…whether it is $20 or $100! Money you don’t see, you can’t spend! This was very solid. I am the saver and my husband is the spender. For 5 years…we have been spending beyond our means and this year my goal was not to charge a thing, begin paying off our hefty CC bills, and save. I took our tax refund and allocated it to an ING saving account…broke the account down into sub accounts and put the money in and have left it there to pay for the bills which are 1 or 2 times a year (taxes, insurance). I also opened an account for me…all B day and Christmas money I had put away in an envelope went into the account I also opened an emergancy savings account. I have just began putting money into the emergancy savings account this month (husband has been laid off since Jan.). This is a start for us and having articles like this for me to read and get motivated by but most importantly pass along to my husband, has been great! One other comment…if you are having a hard time saving…try this…set a pay period aside. The money you have left over for daily spending…shop in your cupboards for food, don’t go out as much, clip coupons, have people over instead of going out and do not buy anything in that period you truely do not need to live. Live on the slim for a small period. Take whatever you did not spend and start your emergancy account. The next pay check you can spend a little…but start watching what you buy. Buy on sale, use coupons, use coupons for gas, restraunts, food. If you don’t have one, google the place you are going to or buying something at…plan ahead. Take whatever money is left and 1/2 it…keep half for ‘fun’ and put the other 1/2 in the emergancy account. The thrid pay period…live on the skinny again…put the money into your emergancy account again. Keep repeating the process. Baby steps. Everyone needs to start someplace. Matt–Excellent advice. It smacks of the cold turkey approach, but that may be what it takes for most of us. A comment on your point “Frugal living will help you to reduce expenses, and reducing expenses is arguably better than getting a raise”. Very true! A cost not incurred is 100% cash in your pocket (or your bank), but a raise is reduced by income taxes. Great article. I’m convinced that as people spend more as part of lifestyle inflation, the return on happiness they get is less anyway. I wanted to add my tip for reaching my savings goals. For a long time, I kept saying “I’ll start an emergency fund as soon as I do X or pay off Y”. Needless to say, I never reached X or Y. Even though I felt like I didn’t have the money to start saving, I decided to start small and save $25 from each paycheck. Every paycheck after that, I increased the total amount by 10%. This has allowed me to increase my savings in a way that is sustainable (and also painless), as it only requires a gradual change from paycheck to paycheck. I’m currently saving around $110 per paycheck, which may not sound like much, but I’m proud of my progress so far. Only a few months ago I wasn’t saving anything, and I didn’t see how I had the cash flow to start. Now I’m constantly increasing the amount, and have yet to miss a single savings “payment”. Another solid article Matt. I also use ING and couldn’t be happier with them. I’ve got the automatic savings set up as well. In addition, I’ve got my 401k at work set up to automatically increase 1% every year, at the same time that raises kick in. If I never see the money, I can’t spend it.